Are you looking for an easy Appetizer for your next Party, Shower, Game Day, or Holiday get together? 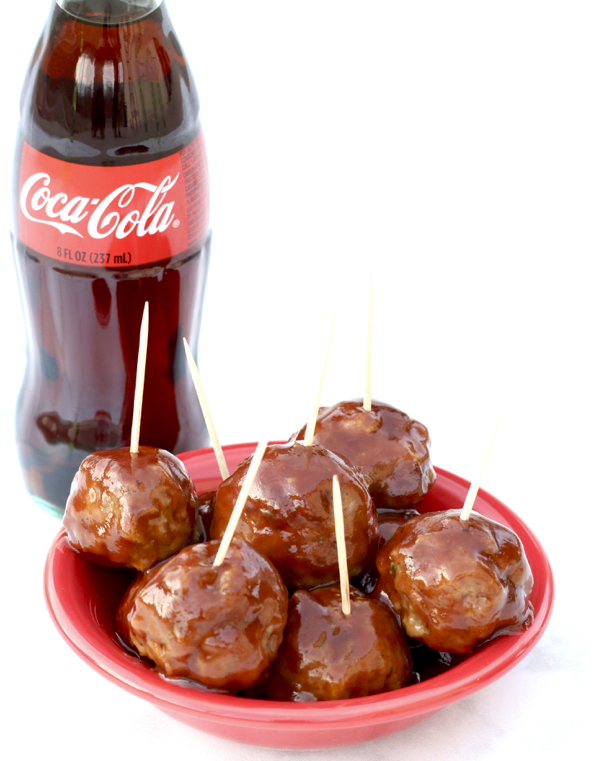 These flavor-packed Crockpot BBQ Coke Meatballs are perfect for any occasion! Add 18 ounces Sweet Baby Ray's Barbecue Sauce and 6 ounces Coca Cola to medium mixing bowl and combine thoroughly. Place frozen Meatballs in 5-6 Quart Slow Cooker, then cover Meatballs with BBQ Coke mixture from the medium mixing bowl. Place lid on your Slow Cooker and heat Meatballs on Low for 4 hours or High for 2 hours, or until done, stirring occasionally. Once done, set your Slow Cooker to the ‘WARM’ setting. Enjoy right away, or enjoy your Meatballs slowly during your Football Game or Party!